Buying an efficient ceiling fan from the electrical appliances online store is not enough to save more energy. You need to know these ceiling fan hacks for it. 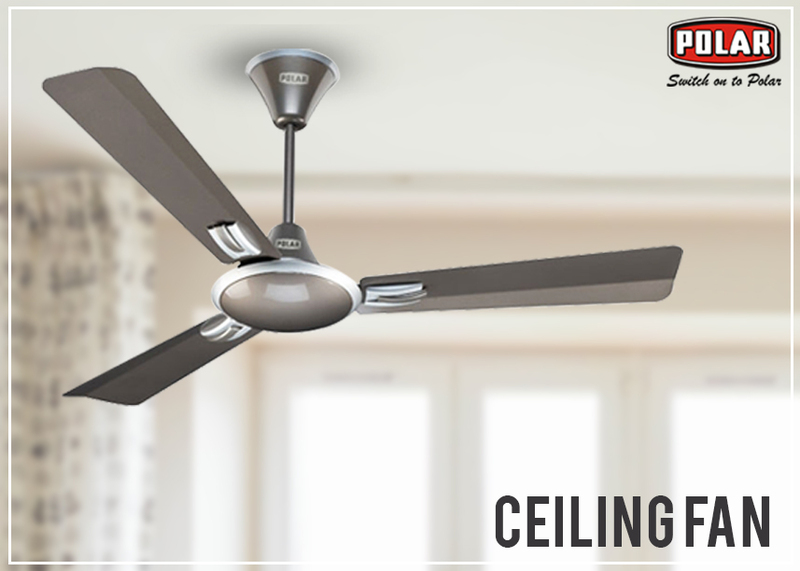 An electric ceiling fan is the best way to keep your room cool in the summers if you know how to use it wisely. Even though there is so much confusion on this subject, it is not so difficult to use as long as you keep in mind some simple tips and hacks. The scorching heat of summer has arrived. And many people have already kicked the air-conditioner, which marked the beginning of the hooping electricity bills. But while an air-conditioner usually uses 3500 watts energy, a ceiling fan uses approximately 60 watts even when it runs on its maximum speed. This means using a ceiling fan can feasibly save much more on your money and energy as compared to an air-conditioner. So, this summer, choose to buy fan online instead of scrolling down the air-conditioner models. But, buying a ceiling fan from any of the electrical appliances online stores is not enough to save more money and energy. You need to know these tricky hacks to use it wisely and efficiently. Here goes the ceiling fan hacks. Adjust the Ceiling Fan Direction In Such A Way that the Cool Breeze Blows Down that Is the Counter Clock wise Direction: – Many ceiling fan models have their blades set in the clockwise direction. You need to check that out before using it. There is a simple way to check that out. Just stand under the fan and switch it on. Allow it to run for a few minutes. If you feel the cool breeze from where you are standing, then the blades are set right. And if the opposite happens then turn off the ceiling fan, examine the base, and try by yourself or consult the experts to help you out in turning the blades of the fan to the opposite direction. Set the Temperature of the Room High on the Summer Months: – If you usually run the ceiling fan for the entire day and night in summer, it is always a good idea to raise high the temperature of the thermostat by few degrees. A ceiling fan, even if bought from a reputed Ceiling Fans Manufacturer in India, will not cool the surrounding breeze by itself, it actually helps in circulating the cool breeze in a better way. The fan can also create an airy effect, which makes the space cooler than the room actually was. Make Sure to Turn the Fan Off When Leaving the Room: – Switching off the ceiling fan when leaving the room can be one of the best ways to save more energy and money. This won’t let your electricity bills perk up high. Be sure of it. Applying these simple ceiling fan hacks can keep your electricity bills low even during the summer months. Doing these can lead to great savings every month. Include these hacks as your daily habits along with the other things you do every day.